Arthur was born the 23 of August 2003 in Stockholm, Sweden. 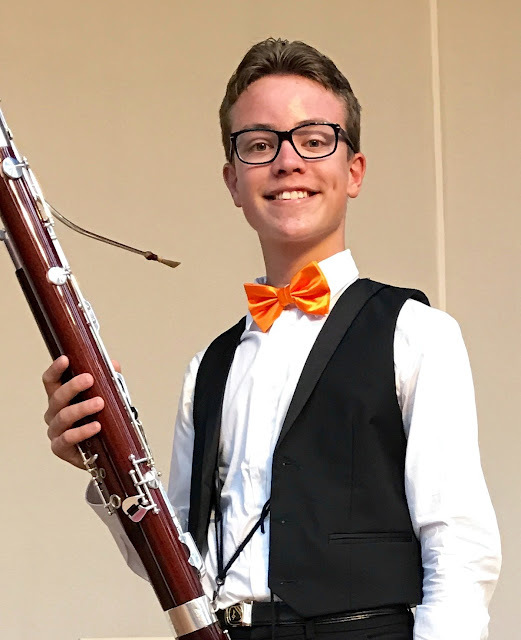 He started playing the bassoon when he was nine years old, at the age of ten, he won the first prize at the Stockholm International Music Competition. He studies at the prestigious music school Lilla Akademien, and plays on three instruments - basson, piano and cello. 2016 - International Music Competition London Grand Prize Virtuoso 2016, grand prize as bassoon soloist. 2016 - The Great Composers Competition 2016, The Music of 17th Century, first prize and second prize in The Music of 19th Century. 2016 - International Music Competition Enkor in Düsseldorf, second prize. 2016 - Stockholm International Music Competition 2016, prizes in three different categories. 2016 - International Music Festival-Competition ”Stars at Tenerife”, first prize. 2017 - International Music Competition ”Planetens talanger”, Russia, second prize. 2017 - International Music Competition -Internet Music Competition 2017 i Belgrad, Serbien, first prize. Invited to participate at the Grand Finals. In the year of 2012 Arthur auditioned for the Lilla Akademien, The Junior Academy of Music, where they have a tailored program for classical soloist and orchestral musicians. Where he also studies Cello and Piano equally as much as he studies the bassoon. Arthur performs often at public concerts and other cultural events, and is already making a name for himself in the Swedish musical society. He has also performed at Royal Albert Hall in London and in Moscow International House of Music.